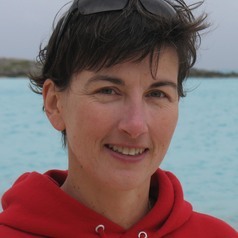 Isabelle Côté has broad interests in marine ecology and conservation. Much of her research over the past three decades has taken place on coral reefs. She was the first to document the drastic decline of corals and reef fishes across the Caribbean region. Her most recent research project focuses on the impacts of invasive Indo-Pacific lionfish on Caribbean reef fish fauna. She is happiest 10 metres under the surface, watching fish do their thing.